Blog / How long do solar panels last? When you begin to think about investing in a solar system installation, the question of how long do solar panels last is bound to come up. It’s hard to calculate the savings against the initial cost of a home solar system without knowing the solar panel lifespan and how long they will produce the energy you need. In general, solar panels last approximately 25-30 years. But this doesn’t mean your home solar system will stop producing energy when it hits those marks. Your solar system will continue to work, though your panels’ power production no longer will be guaranteed by the manufacturer. So it’s important to understand degradation rates and industry projections. What Is the Yearly Solar Panel Degradation Rate? Through use, all products will lose performance, and solar panels are no exception. However, solar panels have a very low degradation rate throughout their lifespan. They will continue to produce energy as long as they are not dented, scratched or otherwise incur physical damage from debris, wind or other factors. Solar panels don’t have any moving parts, so they seldom break and are usually only damaged by outside forces such as severe weather. 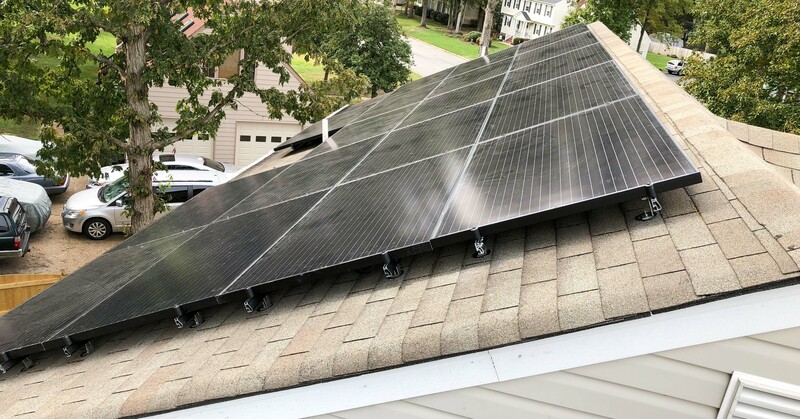 Solar panel degradation rate depends on factors such as the brand and the climate where the home solar system is installed. Some premium solar panels have a degradation rate of about 0.3% per year, while others have a higher degradation rate of 0.8% per year. That’s an average of about 0.5% per year. This means that if you get a standard solar panel with a warranty of 30 years at 0.5% degradation, your solar panel system should still be operating at 85% of its original optimal capacity when the warranty runs out. The panels that POWERHOME uses guarantee that your panels will operate at 80 percent of their original capacity after 30 years. Although they look sleek, modern and delicate, solar panels are actually super durable. They are designed and built to withstand rain, wind, high and low temperatures, humidity and even hail. There is very little maintenance needed to keep a home solar system working at capacity. Keeping your solar panels free from leaves, pollen, dirt, dust, falling branches and bird droppings will enable them to generate the highest amount of electricity possible. Often, the wind and rain will take care of removing debris from your solar panels for you. If needed, you can easily rinse your panels from the ground with plain water. Just use a hose to spray off your panels. If you are worried about solar panels and snow, in most cases, wind or sunshine will take care of excess snow on your panels. Now that you know how long solar panels last, switching to solar may seem even like an even better option. Please fill out the form below or contact POWERHOME Solar at 800-765-2715, and one of our solar representatives will help you determine whether your home qualifies for solar panels.